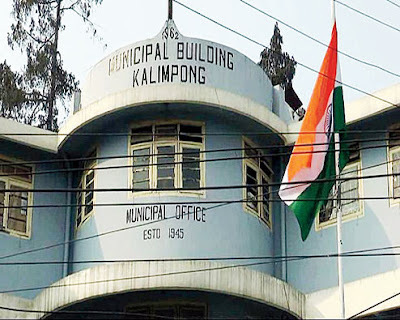 Kalimpong: The chairman of the Kalimpong municipality, Suva Pradhan, on Monday summoned a special meeting of the civic board on Thursday to conduct a floor test. Pradhan said he was calling the meeting following a written request by 14 councillors of the 23-member board seeking a vote of no-confidence against him. "A special meeting has been summoned (on Thursday) for the removal of the chairman as no-confidence motion (has been) filed by more than one-third of the existing councillors of the Kalimpong municipality," he said in a notice issued here today. The reduced strength of the Kalimpong municipality board is 22 following the death of the member of ward 16 Barun Bhujel in end-October. Fourteen councillors belonging to the Binay Tamang faction of the Gorkha Janmukti Morcha had on December 4 written to the chairman seeking a special meeting of the board to remove him from the post. Apart from the 14, six, including the chairman, are no longer associated with any party and the remaining two belong to the Jana Andolan Party (JAP). The chairman of the Kalimpong municipality, Suva Pradhan, on Monday summoned a special meeting of the civic board on Thursday to conduct a floor test. Pradhan said he was calling the meeting following a written request by 14 councillors of the 23-member board seeking a vote of no-confidence against him.